From the moment you learned you were expecting, you knew she was special. When you first held her in your arms, you discovered a depth of love that you had never known existed. You have loved her with every breath. This sterling silver keepsake will always remind your daughter that your love knows no boundaries. 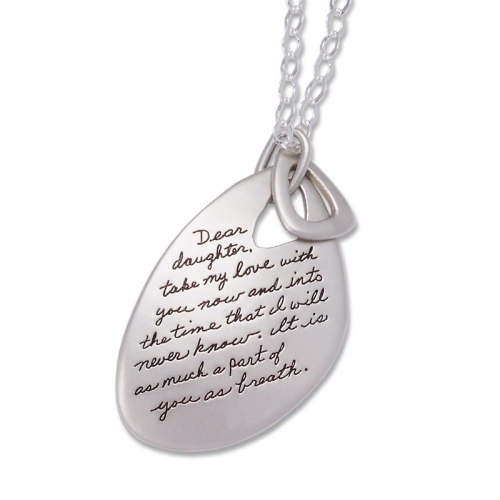 Through space, time, and eternity a mother’s love lives on.